Kathleen Hurstell Riedlinger has spent her professional career as a leading voice for urban arts education in New Orleans public schools. In 1981, when Kathy Riedlinger became principal of Lusher Elementary School, the K-6 school served 525 students in an uptown New Orleans neighborhood. The school’s test scores ranked 12th in the district, students from economically disadvantaged backgrounds exceeded 70 percent, and there was conflict between teachers and the Parent Teacher Association. Ms. Riedlinger was given goals for the school: update the curriculum and raise test scores. Ms. Riedlinger added an additional goal: increase the percentage of African-American students participating in gifted education. In 2018, Lusher is the largest public charter school in New Orleans, serving over 1800 students in grades K-12 on two campuses. The school’s motto is “Celebrating cultural diversity through high academics and the arts.” The school lives up to its motto. Lusher’s student population reflects the religious, cultural, racial, and artistic diversity of New Orleans. The high school offers the nationally recognized Certificate of Artistry program, the Project Lead the Way engineering and biomedical programs, and areas of concentration in math/science and humanities/communications. In addition, juniors and seniors may enroll in Tulane University classes for college credit at no charge. Operated by the non-profit Advocates for Arts-Based Education Corporation, Lusher is recognized for excellence in academics, arts, athletics, and social-emotional learning. As the school’s leader, Ms. Riedlinger galvanized a vigorously collaborative effort with the school’s parents, teachers, and administrators to design and implement a superlative arts-based curriculum and a school culture deeply rooted in New Orleans’ rich arts history. In recognition of this accomplishment, Lusher recently had its designation as an exemplary school renewed by the Arts School Network. Perhaps the most remarkable part of her work occurred in the aftermath of Hurricane Katrina and the subsequent levee failure, which devastated more than 80 percent of the city of New Orleans in August, 2005. Lusher faced not only the physical challenges of rebuilding the school, but housing was needed for families, staff, and teachers. The school community faced the same emotional struggles everyone in the city faced. Thanks to the strength of the school community, as well as the resilience of its leader, the Lusher community responded with vision and enthusiasm. Lusher’s core values of kindness, responsibility, respect, and hard work were key in helping students, families, and staff heal. This “resurrection” was a key part of the school’s healing; the school needed to make sure their students could trust again, hope again, and feel they could direct their lives in a meaningful way. Undaunted by these challenges, Ms. Riedlinger quickly mobilized the Lusher community, realizing the importance of school-community partnerships. Working closely with local and international partners, such as Tulane University, Ms. Riedlinger reopened Lusher’s doors to students in January, 2006, and Lusher became the first school to have a post-Katrina charter approved by the local school board. In just a few short months, she raised over $3 million in private donations to renovate and open a high school campus and build a state-of-the-art performing arts center at the original, lower school campus. She was instrumental in founding, and then elected president of, the Eastbank Collaborative of Charter Schools, now known as the Greater New Orleans Collaborative of Charter Schools. This organization mentored other local educators to re-open schools as locally-run charter schools at a time when the public school board was incapacitated and unable to open the school district. With Katrina having turned the city’s educational landscape upside down, this collaborative group of school leaders worked together to ensure the sustainability, success, and survivability of their fledgling charter schools. Lusher played a key role in helping itself and others build a new public educational landscape that inspired the entire community to rethink public schooling. Lusher’s phenomenal growth as an academically superior public charter school is a direct result of the vision, courage, tenacity, and outstanding leadership of Ms. Riedlinger. While she credits the communal aspect of her accomplishments, it is truly her leadership abilities that marshalled community stakeholders – faculty, parents, university and business partners – to support Lusher’s unique arts and academic mission. During the course of nearly four decades, Ms. Riedlinger has kept a laser focus on Lusher’s mission and never lost sight of it despite challenges. She ensures that her dreams and decisions foster this mission, which is reflected in all school-wide systems and structures. Kathleen Hurstell Riedlinger is a leader with a vision, heart, and remarkable talent in finding and hiring excellent teachers. 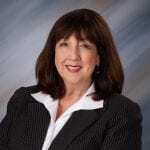 Above all, Kathy Riedlinger is a great communicator and implementer of her vision, the courageous cheerleader of her troops, and a seasoned expert in student learning and the arts. Rather than battle skeptics, she has turned them into advocates who seek to replicate her model. She is an unparalleled example of educational entrepreneurship, integrity, and collaboration.